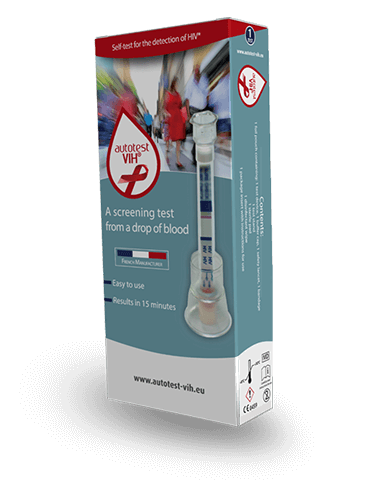 autotest VIH® is the first self-test for the detection of the HIV to have obtained the CE marking for home use. 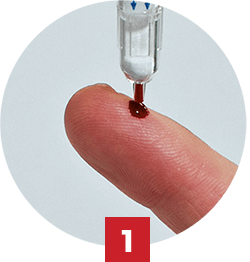 autotest VIH® is reliable for the detection of an HIV infection that occurred 3 months ago using a microdrop of blood. Only 5 minutes to perform. Instructions for use and video in your language. 7 days a week guidance online by experts. autotest VIH® is intended to be used by people who want to know their HIV status. The risk of infection remains real. In Europe, in 2013 there were 80% MORE new HIV cases compared to 2004(1). There is currently no vaccine to prevent HIV infection. However, treatments exist for an infected individual that considerably reduce the risk of transmission. autotest VIH® can serve as a complement to conventional testing services(2). In the event of a positive result, the test makes it possible for a person to seek medical care and benefit from treatment after having a confirmatory lab test. A negative result means that a person is probably not infected with HIV and can feel confident about his/her HIV status if the most recent risk of exposure occurred at least 3 months ago. (2) File « autotests de dépistage de l’infection par le VIH », Haute Autorité de Santé. March 2015. CE marked for home use (French Notified Body: LNE/G-MED). Storage : between +8 and +30°C. Keep away from sunlight. 100% of HIV-positive individuals obtained a correct result with this test. 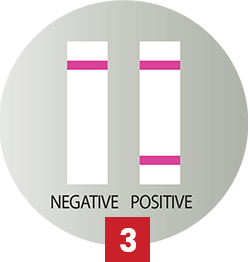 99.8% of HIV-negative individuals obtained a correct result with this test. A practicability study of the handling of this test by laypeople showed that over 99.2% of participants obtained an interpretable result and over 98.1% correctly interpreted the result. Positive results were interpreted correctly in 100% of cases. (*) Studies of 503 people (sensitivity) and 2051 people (specificity) from the United States and the European Union. No significant interference has been observed upon examination of specimens that contain substances or that present medical conditions with the potential to affect the results of this test. 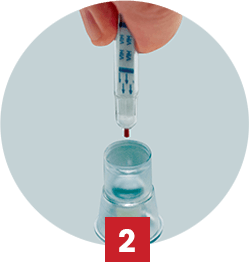 The window period (seroconversion) of the autotest VIH® test can be as three months meaning that HIV infections that occurred within the past three months might not be detected by this test. Need support or guidance ? Questions related to HIV or other sexually transmitted infections ? Need help with using the test or interpreting the result ?